The following is a reprint (excluding the footnotes) of the Wikipedia article List of Republicans opposing Donald Trump presidential campaign, 2016. 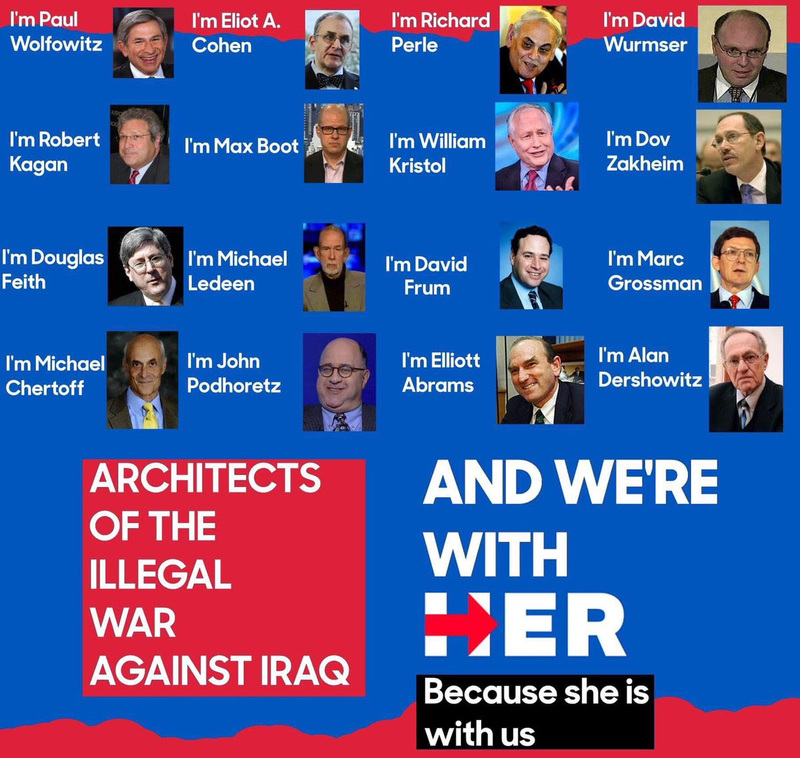 It’s a veritable who’s-who of the neocon establishment. Our thanks to Eric Zeusse for bringing it to our attention. All candidates signed a pledge to eventually support the party nominee. The following have refused to honor it. Yes, the Internet was a gift sent from above, so that Americans could finally see the truth of how they have been no more than sock puppets, manipulated and deceived. Wow!! There are a lot of TRAITORS to vote out of office and to get rid of for the sake of Main St. America’s very survival..
One of the reasons these people cannot support Trump is because he could open the September 11 file. The truth is some of these Republicans (the Bush family, PNAC members etc} are responsible for executing the destruction of the twin towers & the pentagon (an inside job) not the 19 Arab terrorists. I have thought this for years and totally agree with you!! The U.S. Government is sick to the core. After looking at this list I conclude that there’s no hope for it as it is collapsing from within. That’s a lot of house cleaning to do ! The entire anti Trump GOP should be defeated ! They WILL NOT ” come around ” but will obstruct Trump if he wins from within ,or keeo control of the party if he looses . Drain the Swamp ,and let Trump ,and his backers ( you and me ) rebuild the party without them ! This kind of explodes the illusion, or dogma, that the US has a two party system and voters have a choice. Trump is running as a third party candidate against both the Democratic and Republican political machines, the entertainment world, virtually the entire media… and it’s amazing that he’s got this far… against the odds. Brilliant comment, and TRUE TO BOOT. Brilliant comment and TRUE TO BOOT. I agree with Willem, there’s a LOT of 9/11 suspects in that list that aren’t voting for Trump, including the self-admitted war criminal, John McCain. Wonder why they’re so spooked? Also the whole US media except Fox supports her. How can the liberals or progressives align with Clinton??? Bush the warmonger is a fan!!! What does that say about today’s Democrats and Republicans??? How can they rationalise support for her? Stay at home or vote Jill stein. I would like to say that this long list of names include all the people in the US who will vote for ‘the lesser evil’ on November 8 and no-one else. I am not American, but if I were I would vote for the alternative option (Stein). Or not vote at all, as George Carlin recommended in his shows.